SONOMA Glass Drinkware Sets is on sale right now at Kohl's for just $9.99 (reg. $19.99). Even better, make sure to get an extra 20% off using coupon code SECRETSANTA, oh, did I tell you that you can get FREE shipping via coupon code XMASFREE. With all that the final price is $7.99 AND free shipping! Hurry, this offer ends on Dec 11. The Sonoma clear glass design is sure to set them apart from other ordinary mugs. From coffee to tea to hot cocoa, these SONOMA life and style cafe mugs are the perfect choice for gifts. Home Basics Scroll Collection Mug Tree 这个是挂咖啡杯的架子，可以挂6个杯子, 放在厨房的counter上很好的。原价要50刀， 现在打折后$8.53. 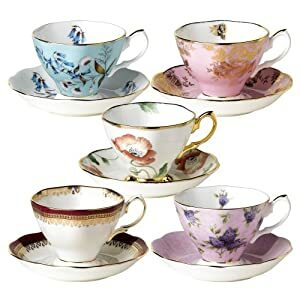 推荐一套大爱的茶杯，Royal Albert 100 Years of Royal Albert Teacups and Saucers, Set of 5, 1950-1990, Royal Albert家100年纪念茶杯，很高档的骨瓷瓷具，非常漂亮的花纹， 22k金镶边， 适合放在dinning room的展示柜里。 Royal Albert是英国公司，开创于维多利亚时代。他家的代表产品是以英国国花玫瑰为图案的高档瓷器. 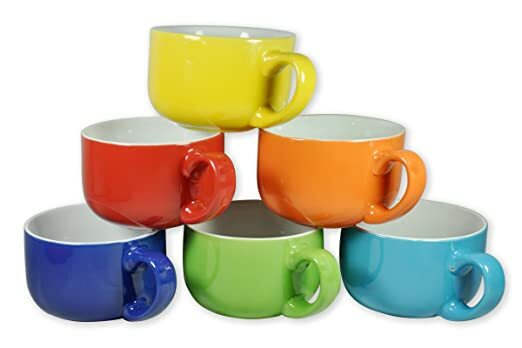 Amazon now you can get a set of six highly rated Francois et Mimi Large-Sized 18oz Hand-painted Artisan Coffee Mugs for only $14.95 – that’s like paying only $2.49 each! 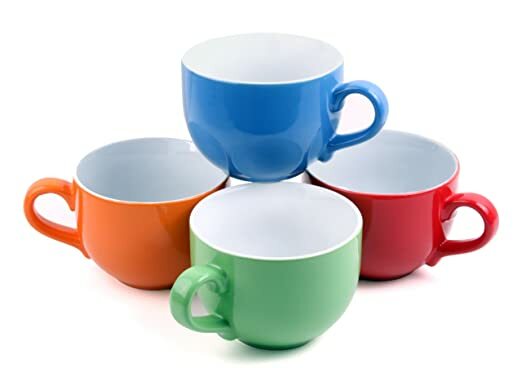 These mugs are available in three patterns and are dishwasher and microwave safe. 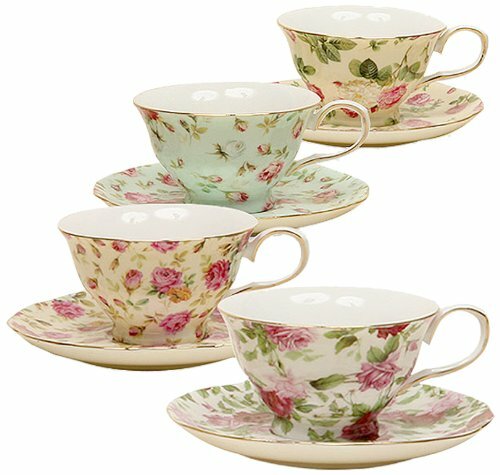 Macy’s.com now you can get The Cellar 10-Piece Punch Bowl Set on sale for only $20.99 (regularly $43). 20% automatically deducted, Use promo code PC4HA2 (30% off), Free in-store pick up, Final cost $11.75! This set features a 13.5 quart glass punch bowl, acrylic ladle and eight 11oz glasses. 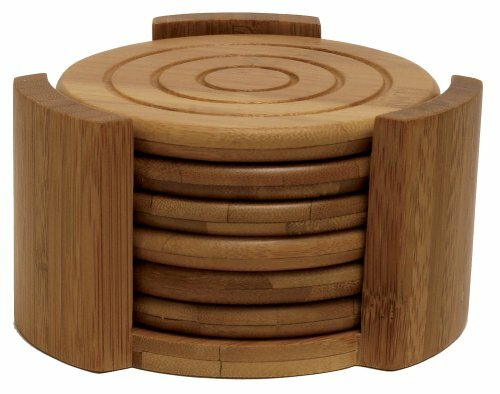 Walmart.com now you may be able to get some select drinkware sets at awesome discounts! 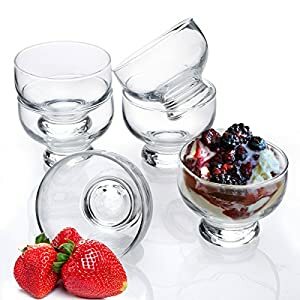 For a limited time, Macys.com now you can buy these The Cellar Glassware Basics 12-Piece Wine Glass Sets for just $9.99 each (regularly $30). Use promo code SUNDAY (get 20% off). Final cost $7.99! 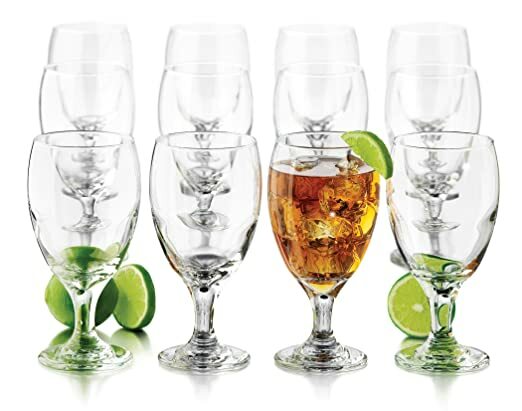 There are four styles to choose from at this low price – White Wine Glasses, Red Wine Glasses, Flute Glasses and/or Stemless. Choose the right glass for your preferred wine or consider ordering a set of each style. Even better, these glasses are dishwasher-safe, so they clean up easy (love that!). 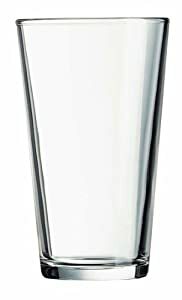 On Amazon.com you can now get this 2-Pack of Bodum Double-Wall Insulated Glasses for just $15.99 (regularly $27.99) after you clip the $4 off coupon under the price. Due to the double-wall insulation, these glasses do not sweat or leave water rings. 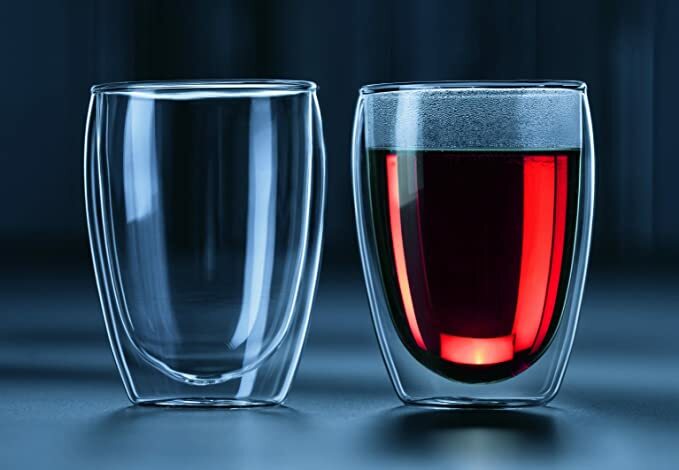 It also looks as if the liquid is floating in the glass and the thermal effect keeps cold drinks cold and hot drinks hot longer. 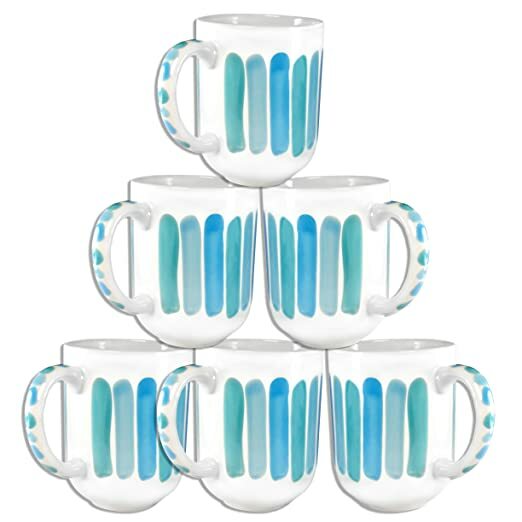 Through May 28th, on Macy’s.com where they dropped the price on these The Cellar Basics 12-Piece Glassware Sets down to $9.99 (regularly $30) – choose from 7 different styles. 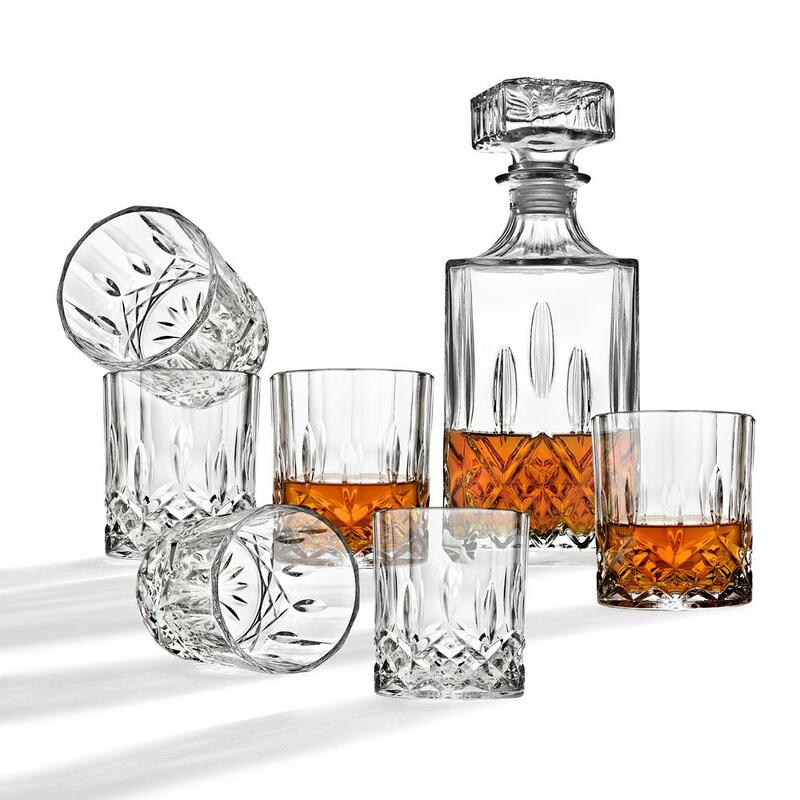 On Home Depot.com 现在这种7件套的玻璃杯 7-piece Studio Silversmiths Decanter and Cocktail Glass Set in Clear Crystal or Diamond for just $14.99 (regularly $39.99)! 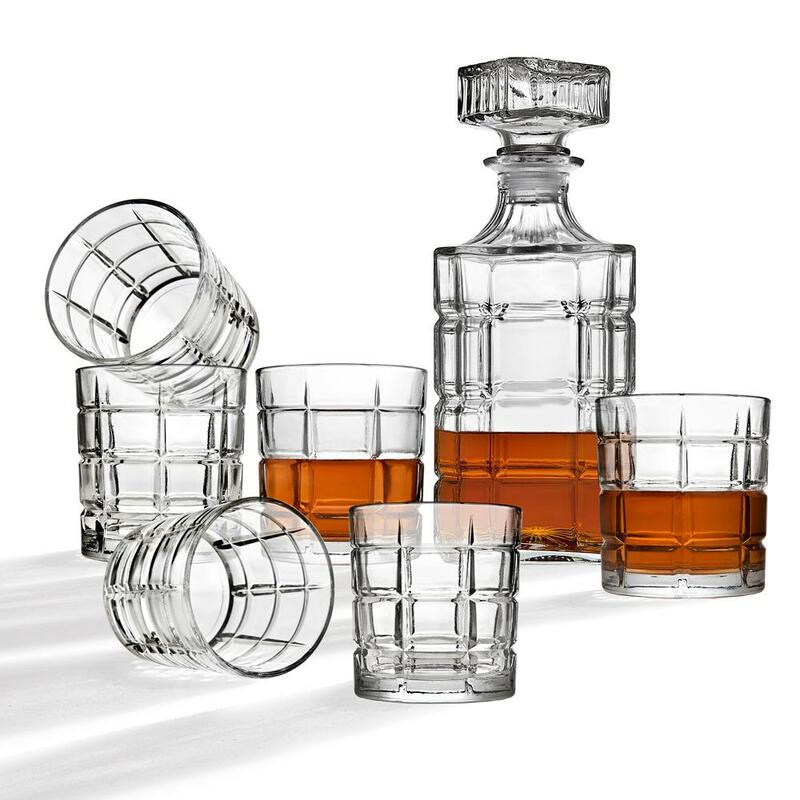 These 7-piece sets include a Whiskey decanter and 6-cocktail glasses that can be used for wine, scotch, bourbon, vodka, juice or water.